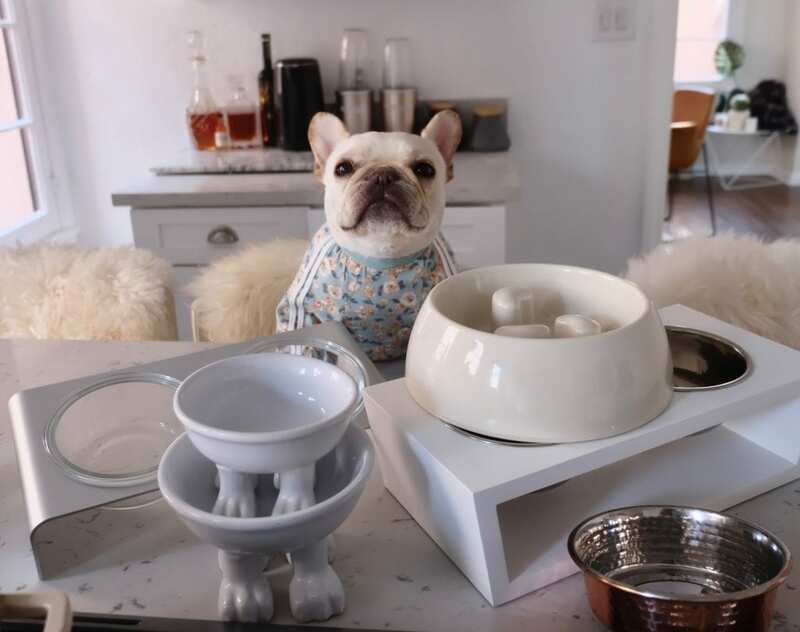 I Reviewed 6 Dog Bowls To Find The Best Dog Bowl for French Bulldogs - Where's The Frenchie? The Best Dog Bowl Ever? Ok, so those of you with flat-nosed breeds know how hard it can be finding just the right dog bowl. They’re either too short, too deep, not elevated, not cute, etc etc. Not only does Fira have a non-existant snout, she also is the MESSIEST eater. Half of her food ends up on the floor. So, I wanted to look for something with a tray or something that catches the fall-out food. Her bowl would also be tipped over on its side after she was finished eating. She is crazy. 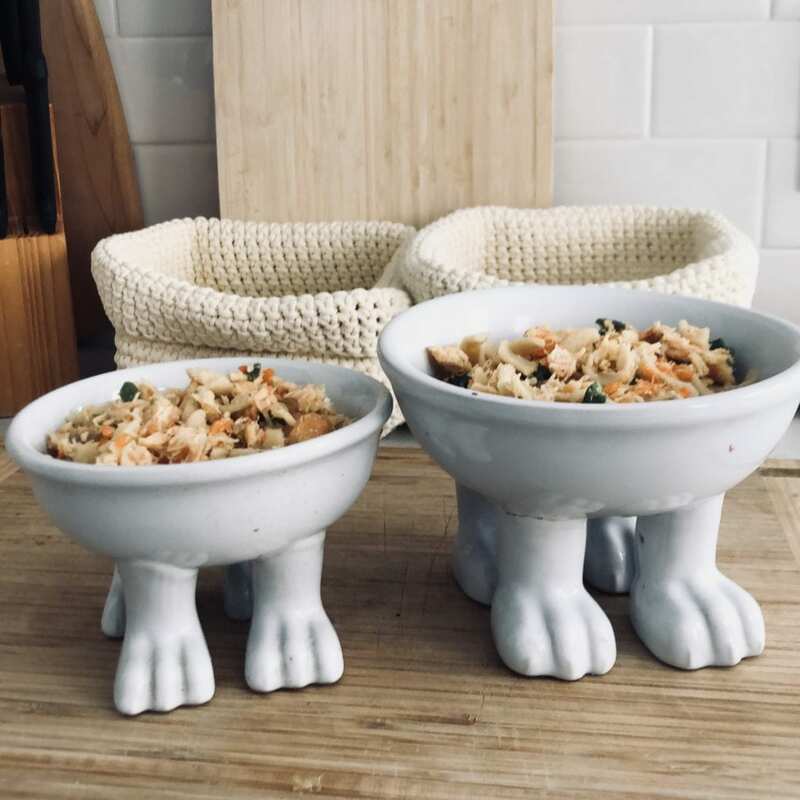 Their bowls for the past couple years have been these Dylan Kendall ceramic bowls with little feet–elevated and adorable. My criteria for the bowls this time was mainly for Fira. Weston is the quietest, most gentle, delicate eater—he doesn’t spill a drop! Fira is a messy one. Weston also has a longer snout than Fira, making it easier for him to reach his food. So, Fira needed a bowl that would be suitable for her non-existant snout, easy for clean-up, something that would stay put on the floor and match our house decor. Ono The Good Bowl: When I opened the box for this, I was ooo-ing and ah-ing over the way it was sleekly packaged and just super clean/modern. 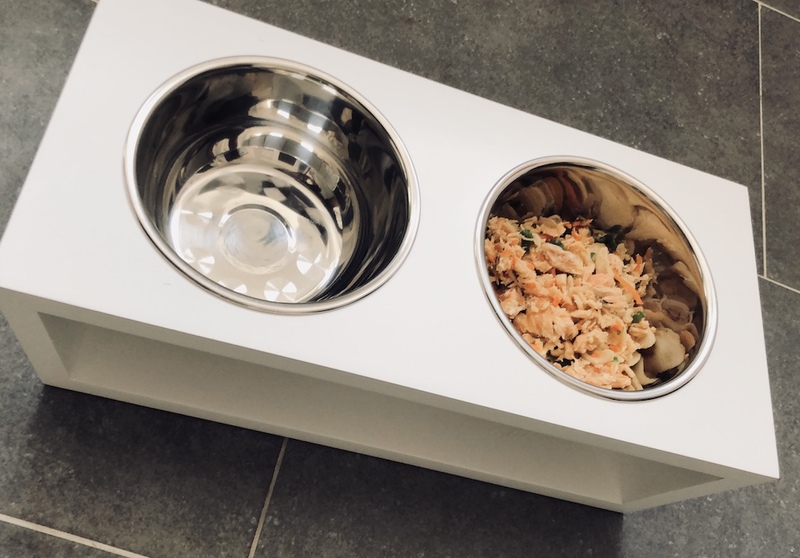 The bowls are really shallow and wide, so it helps smaller-snouted dogs get into the bowl better. 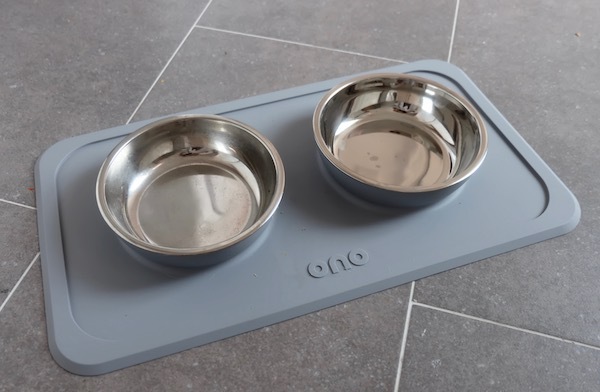 The removable silver bowls stay snug in the mat and the best feature of these bowls are that the entire silicone mat stays gripped to the floor so it didn’t go anywhere. Modern Elevated Feeder: The design of this one is uber modern with nice clean lines. I could see this really being a nice accent piece in a contemporary kitchen. It has a solid weight so it doesn’t feel cheap. It’s about 5.5 inches high which isn’t bad but a liiiittle high for Fira. When she started eating, she kept spilling a bunch of the food on the floor. Elevated Bowls with No-Spill Resin: this one I wasn’t expecting to like so much but it WORKS. Fira ate her entire dinner and there was not a speck on the floor–woohoo! It definitely slid out of the bowl but it slid into those raised sides and she ate every last bit. This one is the cheapest of the bunch and I’ll definitely keep it. 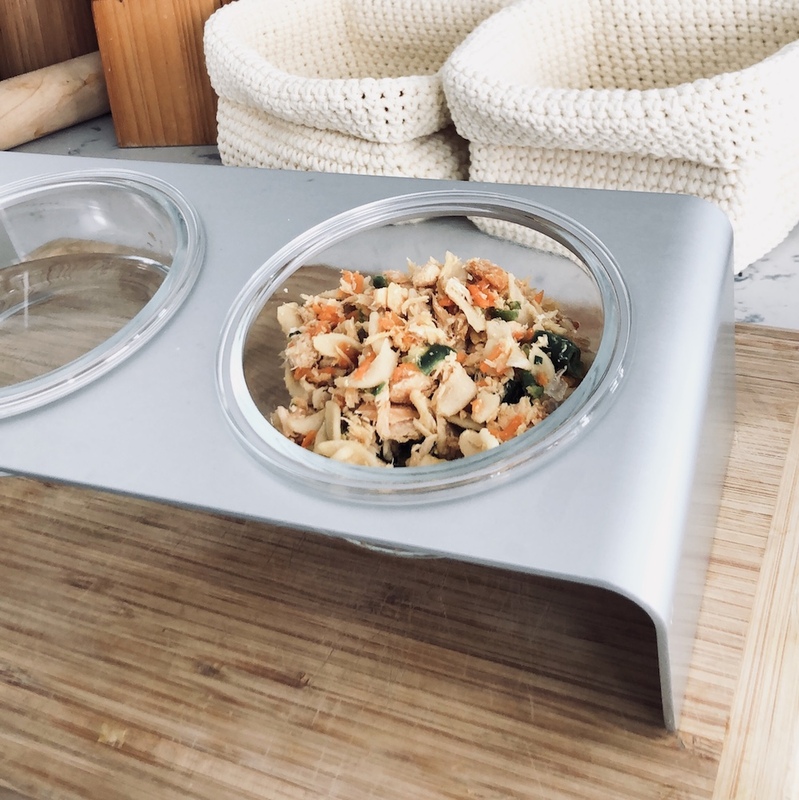 Elevated Feeder with Glass Bowls: nice sturdy design with glass bowls and ANGLED so it’s tilted towards your pet for better eating. This one I had high hopes for but since the bowls are pretty small, the food still got everywhere. 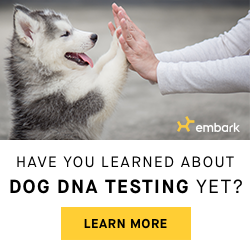 This one would still be great if your pup (or cat) is a neat eater. Martha Stewart Slow Feeder Bowl: if your dog eats super fast, like Fira does, a dog bowl for fast eaters is a smart option. A slow bowl is great as it forces them to work around the bowl and gives them time to chew + digest etc. Sometimes it feels like some dogs don’t even chew their food! This one did not work for them at allll. Fira couldn’t get her little face in and just stared at it confused and frustrated—make sure to watch @wtfrenchie IG TV for the full video to see her cute confused face lol. 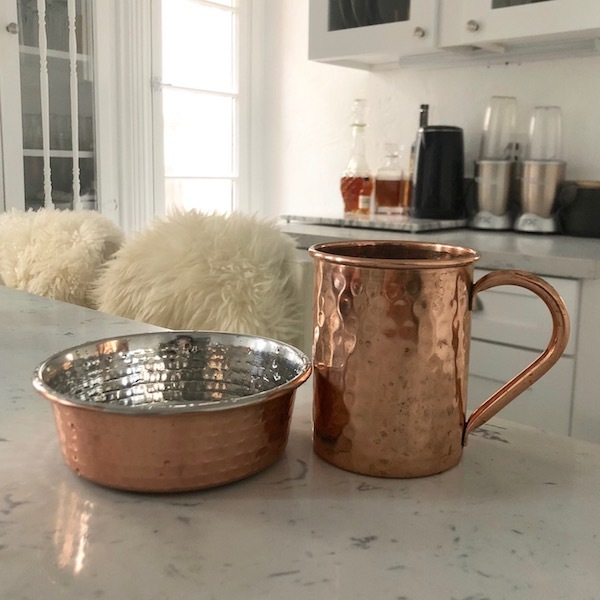 Hammered Copper Bowl: Um, I only got this because it matched my copper mugs. No regrets. It shall become their water bowl. I’m actually surprised I loved Elevated Bowls with No-Spill Resin out of the bunch. It was the least expensive one on the list and I usually don’t go for brighter colors like this (the other colors are green and aqua blue) but it checks all the boxes for the perfect dog bowl (for now)! Love that it’s elevated and it is the perfect size. It does move around a little on the floor since it doesn’t have grips on the bottom and is extra-light plastic. It’s the lightest of the bunch in terms of weight but it still wins because it catches any food that falls out. Now the Ono is going to be Weston’s new dog bowl since he has no problems with lower bowls. I just love its sleek design and shallow bowl size. So excited they have their new bowls that work for each of them—yay! Make sure to watch our new IGTV video of the full review and the pups trying the dog bowls out. 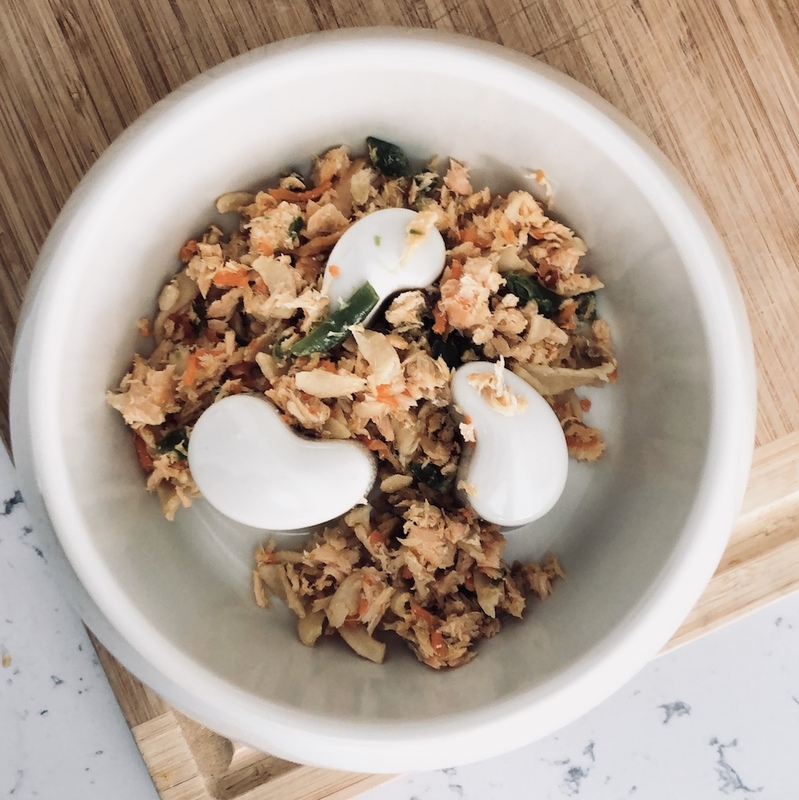 By the way, if you’re wondering what we feed them, we like to mix it up with homemade dog food or fresh, human-grade cooked foods from our favorite company Pure Dog Food. 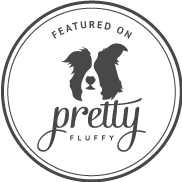 You can get $20 off your first order with our code (minimum $40 order): wtfrenchie. iBard Dual Slanted Bowl. I was first attracted to this bowl for the style. It’s really soft, pretty and mimimal. I thought this one would do the trick but because the material is very lightweight, it shifts around and still, there was spillage. This bowl would be beautiful for a non-messy eater though. 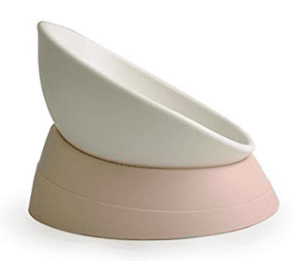 A slanted dog bowl specifically designed for french bulldogs and flat nosed breeds! This one worked much better—it’s very solid so it stays put but I still felt it wasn’t slanted enough. Some food spilled over the top edge. 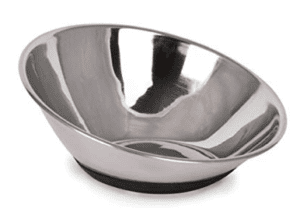 Ok, love the slant on this stainless steel bowl! The only thing you would need is a silicone mat on the bottom so it stays put and doesn’t move around. This one is also the least expensive on the list—less than 10 bucks! 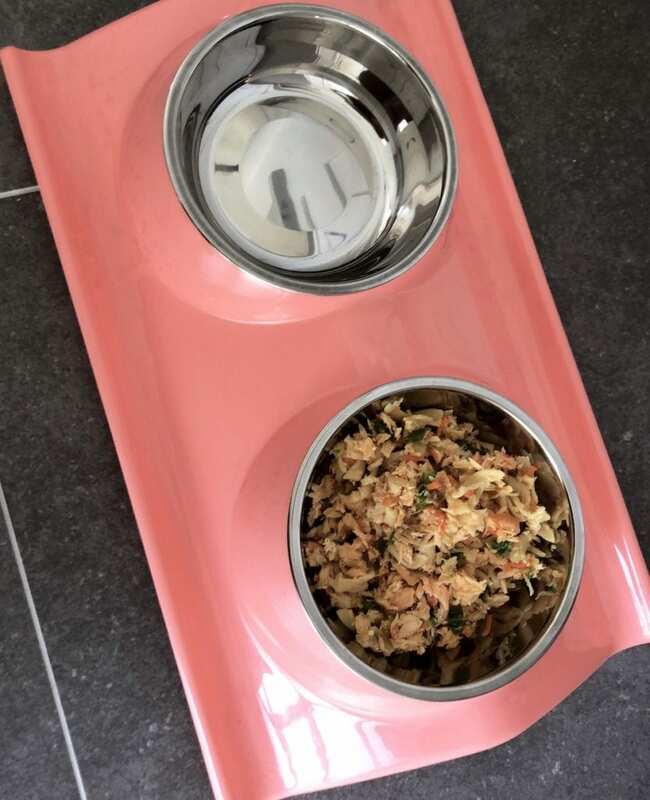 When I was posting about bowls on Instagram, I got sooo many messages raving about this Enhanced Pet Bowl. It’s made for french bulldog problems like this. Sturdy grip on the bottom, large area for their face to move around and at an angle. Some food still spilled over the top—Fira tends to push up the food to the back of the bowl causing it to go over—but this one is probably the closest to ticking off all the boxes. 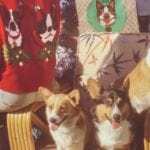 Where's The Frenchie is a participant in the Amazon Services LLC Associates Program and incorporates affiliate links. Although they may not go with your esthetic, we’ve found that the Enhanced Pet Bowl (formerly The Loving Bowl) works really well for Midge who has an almost non-existent snout! BOL! 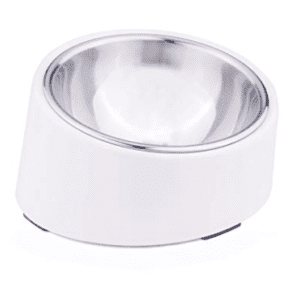 We have Basis stainless steel bowls and elevated stand. 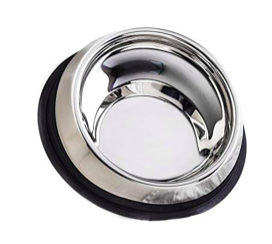 The stainless steel is made in the USA, tested for lead and Mercury and food grade for humans and pets. Very reasonably priced too (we use the small bowl for water but the medium is better for food)! Thanks for the rundown! Love the one you chose – that’s a pretty color. Thank you for this review. I am looking for the perfect bowl for my 9 weeks old french bulldog puppy, and it helps a lot. 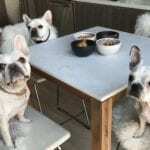 I have read another article on a frenchie website https://frenchbullevard.com which recommends to feed puppies with supplements like goat milk or prepared formula milk for puppies. I think the Slanted Bowl would be a perfect fit for my baby. 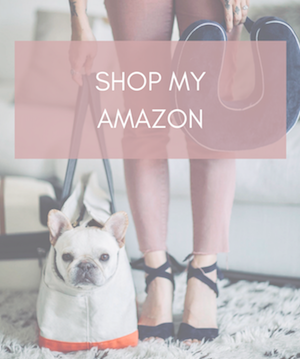 Where's The Frenchie is a participant in the Amazon Services LLC Associates Program and incorporates affiliate links.